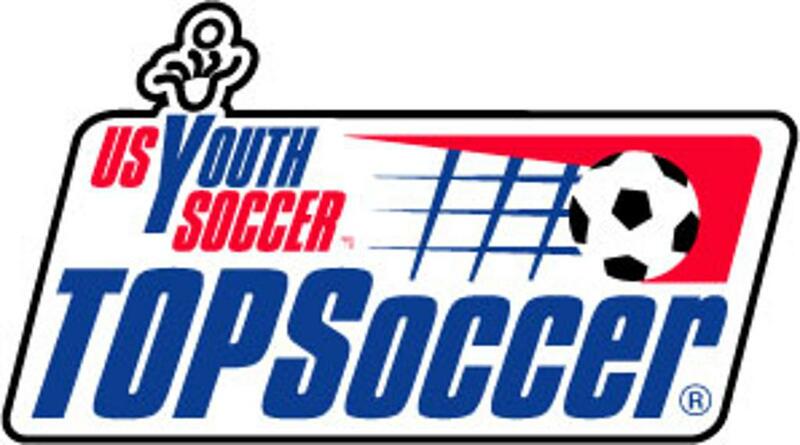 TOPsoccer (“The Outreach Program”) is the official United States Youth Soccer (USYS) program offered in affiliation with Prince William Soccer, Inc. to any child between the ages 41/2 to 18 with physical and/or mental disabilities. This program is designed to get these young athletes off the sidelines and onto the playing field. The mission of this program is geared toward having FUN, socializing with friends, exercising, and, if our children will cooperate a little, learning about soccer. The program is not going to make professional soccer players out of them. Instead, these kids will work on coordination, flexibility, object recognition and much more in a fun and energetic atmosphere. We hope the kids take away from this program a sense of accomplishment in learning something new or expanding upon their abilities. Our goal is to involve as many children with special needs as possible in this fun and rewarding experience. We hope this is an activity that your whole family will find enjoyable. If you feel that you would like your child/children to participate please let us know. Please contact Alex Silver at asilver@pwsi.org. TOPSoccer (“The Outreach Program”) is the official United States Youth Soccer (USYS) program for enriching the lives of children with mental and/or physical disabilities through the game of soccer. Donations are always appreciated. If you wish to make a donation, please click HERE or contact the Clubhouse at 703-670-6061. If you are interested in being a TOPSoccer buddy please contact Coach Alex Silver at asilver@pwsi.org. If you are a new buddy, please complete and return the waiver link below. You must also attend ONE buddy training session in your lifetime. Buddy training sessions will March 22 at 8PM and March 29 at 7 PM in the Howison meeting room. Please see below for the schedule of times and dates as well as the unchanged practice location. This is not a drop-off/pick-up program. A parent must stay with their child for the entire session. We will have a buddy system, hopefully one on one or more with each child. We will have coaches and assistant coaches to organize the sessions. The child will be placed in groups according to their ability, not their age.